There’s a reason it’s called the honeymoon ‘phase’ – and that’s because, sadly, it just doesn’t last forever. The first thing to know is that this is perfectly normal! As with all new things in life, eventually the novelty wears off. You fall back into your old routines, and life carries on. Getting the spark back requires a bit of effort – but the more you put in, the happier you and your partner will be. Here’s how to go about it! As time goes by, candlelit dinners and romantic gestures start to get reserved for anniversaries or milestones. One of the best ways to add sizzle, however, is with the element of surprise! Think of something you could do tonight, completely out of the blue, to show your partner you appreciate them. 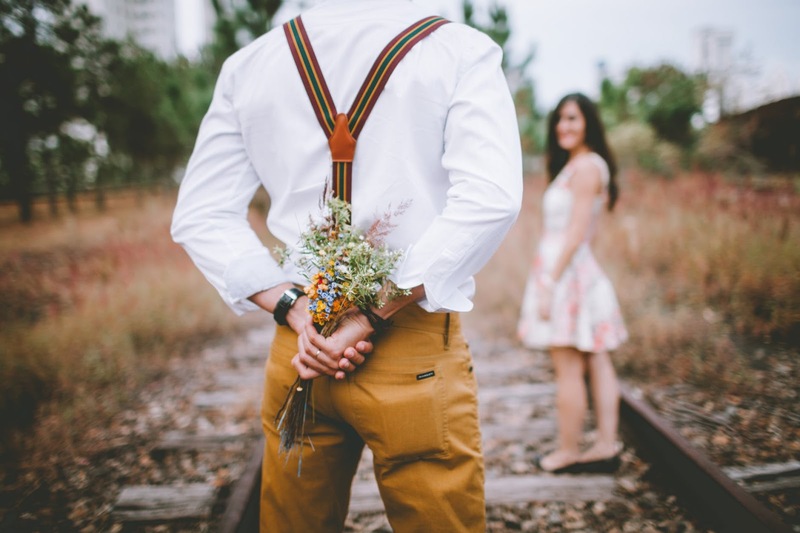 Often all it takes is for one partner to take the initiative, the other to reciprocate, and before you know it you have a runaway romantic train. Familiarity, as they say, breeds contempt, and it’s not just in romantic relationships that this unpleasant human trait tends to rear its head. We’ve all experienced a habit or quirk in someone we know turn from mildly endearing, to mildly annoying, to downright infuriating! If you let yourself focus on these areas, your relationship is in big trouble. Make an active effort to focus on all the good things about your partner, and remind yourself often about just how much they mean to you, and why. Putting together a list of all the things about your partner that you're grateful for is an excellent way to bring it all back into perspective. Don’t sweat the small stuff! Some people are comfortable talking about intimacy, and some people just aren’t. Invite your partner to step outside of their comfort zone with you, and discover what works for you both. Visiting sites like Allure Sensuality together will give you both a good giggle if nothing else. even just throwing in a compliment on how they look, or telling them how much you missed them can go a really long way. In a world where divorce is becoming more and more common, it’s more important than ever to learn from those couples who just keep getting it right. Pay attention to the couples you know who’ve been together happily for many years, and observe the way they treat each other. As a rule, comparing yourself to other people is seldom a good idea, but if you're armed with an attitude to learn, you can pick up on things that might never have occurred to you otherwise. What little rituals do they have that let them spend time together? Where do they give each other space? Reminiscing about happier times is all well and good, but there’s no time like the present for creating brand new memories to treasure in the future! Make time to go on that weekend getaway, make a reservation at a nice restaurant, or even just stay at a BNB near where you live. Get out into nature together, try a new sport or activity, or take some classes together. It doesn't always have to be lovey dovey and romantic, be silly and fun together. Activities like crazy golf or inflatable challenges are a chance to laugh a lot and just enjoy each other's company. Make sure to break the monotony from time and freshen things up. It's easy to take each other forgranted after a while, and this can lead to resentment on both sides. Make your appreciation clear when they do little things for you, even keeping the house tidy and cooking dinner. It can become expected when it's something they've always done, but it shouldn't be the case. Relationships are all about give and take - so give freely and appreciate what you get in return! There’s no better way to put the spark and sizzle back in a long-term relationship than by just taking the time to appreciate one another for who you are. What sort of things do you do, and what goals to keep your relationship strong do you have?